Quirkle is an abstract board game that’s vaguely reminiscent of Scrabble but instead of letters, you have wooden blocks that contain six different shapes in six different colours. 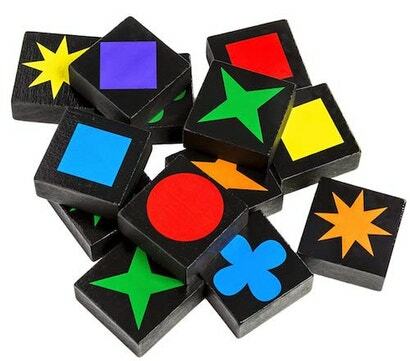 Players begin with a starting hand of six blocks and take turns placing multiple blocks in a column or in a row in either all the same colour or the same shape. The next player builds off of that, like how you build words off each other in Scrabble. 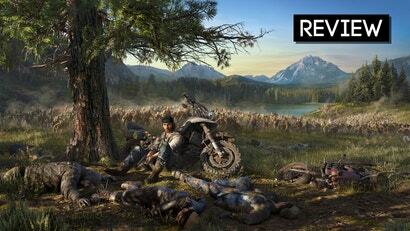 This game has a ton of replayability. Outfoxed! 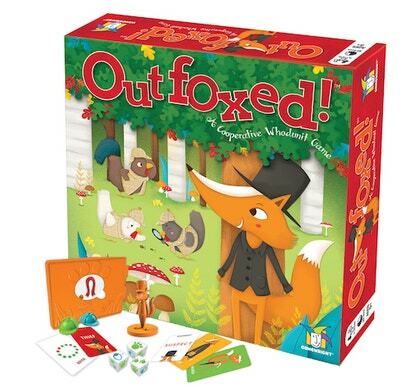 is a cooperative deduction game in which you try to figure out which fox is the thief. Players move around the board to gather clues and learn deduction skills. Since this is a cooperative game, it isn’t too overwhelming for younger children, and parents can work on the deduction puzzle as well. Ice Cool is a great dexterity game in which penguins race through the school in order to be the first to gather all their fish. Players flick these wobbly cute penguins through halls and corridors while trying to avoid the hall monitor who will end the round. Take note: Kids are excellent at flicking small pieces and you, the adult, will probably lose this game. 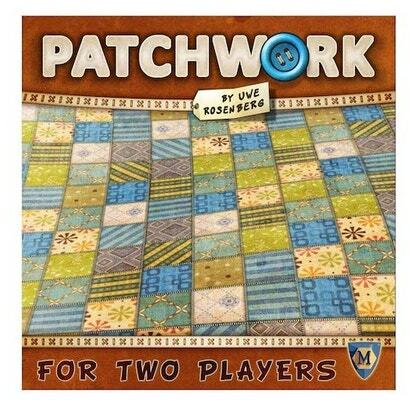 Patchwork is a darling two-player game in which you must build a quilt with Tetris-like pieces. 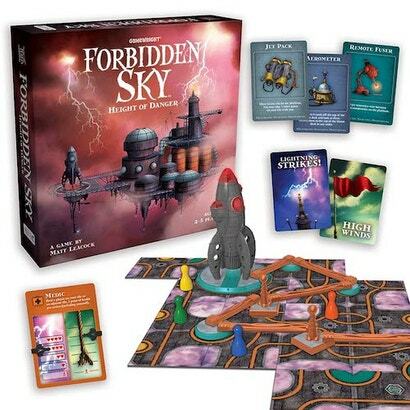 These pieces are laid out in a circle around the board, and on your turn, you only have access to the next three pieces to purchase and place on your board. 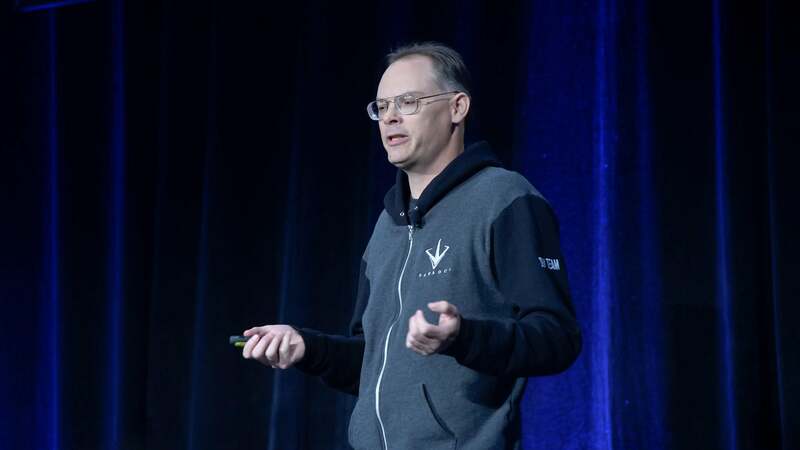 Game play doesn’t just go back and forth. Some pieces advance you farther along a time track, which then allows your opponent to keep purchasing pieces until he or she passes you. This is the family version of the popular strategy game Scythe. 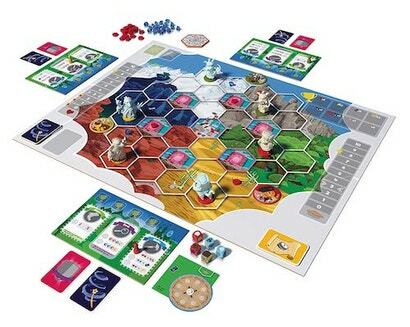 In My Little Scythe, players are competing to be the first to gain four trophies, through either increasing friendship or pies, completing quests, learning magic spells, delivering gems, and starting pie fights. 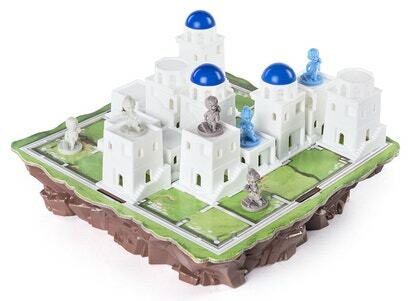 The figurines are adorable versions of the Scythe characters, and while the game is competitive, it still encourages players to help each other out to achieve some of those trophies. Santorini is an accessible strategy game in which players are moving and building Greek buildings with blue roofs on a board. If either player builds a third level, that player wins the game. The rules are simple to learn but provide enough depth to keep each game interesting. 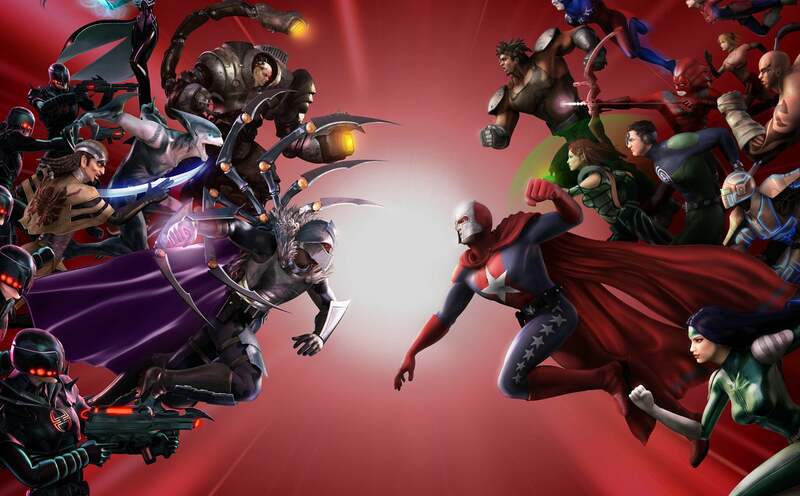 Also, the game comes with hero cards that give each player a unique ability for that game. 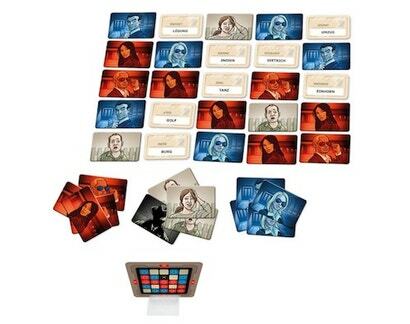 In Codenames, with two teams pitted against each other, the Spymaster gives one-word clues to his or her teammates in order for them to pick the right clue. If teams pick the wrong clue, which are cards laid out on the table, they might accidentally uncover a clue for the opposing team or worse, pick the assassin, thereby ending the game. 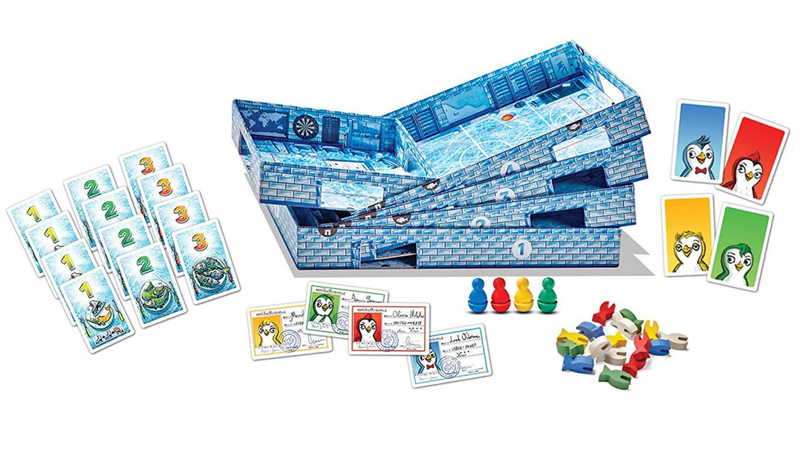 The original Codenames is just words, but kid-friendly photo versions have come out — there’s a Marvel Edition and a Disney Family Edition, in addition to a two-player version called Codenames Duet. 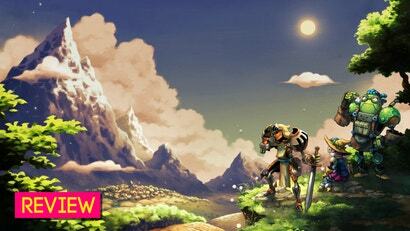 Drop It easily falls into any age range because it’s universally enjoyed. It’s that fun, even for people who aren’t even playing and just watching. 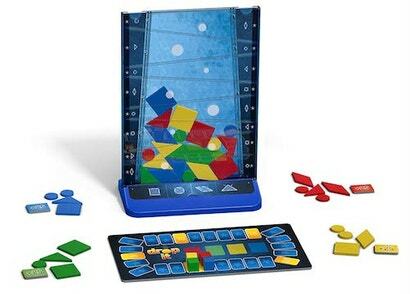 Players drop geometric pieces in this plastic see-through wall contraption in order to score victory points. In each game, there are variable rules about which pieces or colours shouldn’t be touching and how many points each piece is worth based on placement. There’s something so satisfying about dropping your piece and it landing right exactly where you want it to — even when the reality is that it’ll bounce a few times and land somewhere it isn’t supposed to be.